Not everyone wants to watch the same scary movie every year. These movies aren’t necessarily horror, set during Halloween or even scary at all. These films are fun features that instead, celebrate the zany supernatural and the very peculiar. For the uninspired looking for a new cult classic, these films are loved by many (and maybe by you). 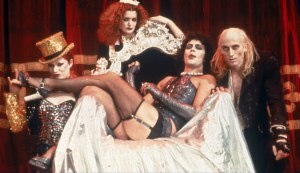 “The Rocky Horror Picture Show,” while not obviously related to Halloween, is a beloved cult classic full of campy fun. In the horror musical, two innocent newlyweds get stranded in a storm and are forced to seek cover in a mansion. They come across two very strange housekeepers, a mob of eccentrics and the iconic “transvestite from Transylvania,” Dr. Frank-N-Furter. The iconic Time Warp scene, along with the other catchy musical numbers, tie in perfectly with the borderline cheesy acting. There are also ridiculous death scenes, lab experiments, sexual awakenings and a ridiculous plot that is almost optional to enjoy the ride of the rock opera. If you are getting dressed up or partying with your friends, viewing “Rocky Horror” is a sure way to get excited and enjoy your Halloween. Tip: “The Rocky Horror Picture Show” is screened Fridays at midnight at The Plaza Theatre off Ponce de Leon Avenue in Atlanta. Before there was “Mean Girls” and after there was “Clueless,” a whole different type of teen movie existed. Instead of fighting for popularity and social cues, four young girls deal with their magical abilities. In “The Craft” a new girl comes to town and begins to hang out with a group of outsiders she shares a kinship with: a trio of witches. The power of all these women crumbles and is tested as the lines of good and evil blur. “The Craft” climaxes to a satisfying, albeit somewhat campy ending. With sharp wit and a dark aesthetic, the film captures a creepy mood of the occult that to me is unparalleled and is perfect for anyone who’s ever been enthusiastic about the paranormal. “The Craft” is a film to watch late at night with a group of friends after winding down from a party. Who killed Mr. Body in the study with the revolver? 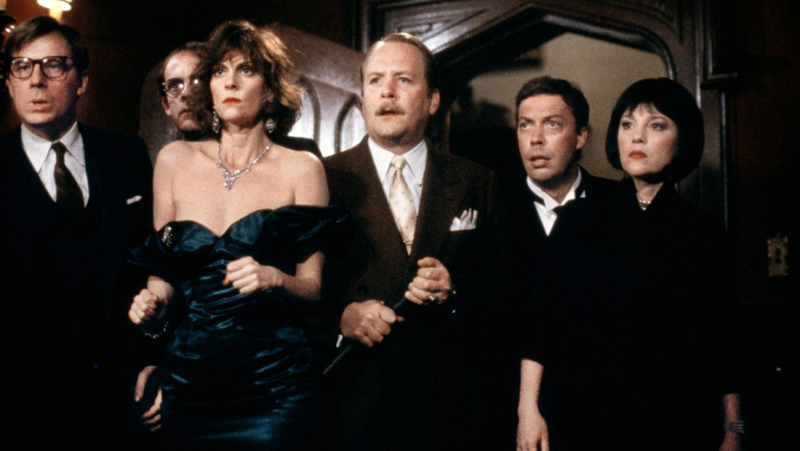 Based on the board game, this murder comedy takes place in a Gothic mansion as strangers arrive one by one under mysterious circumstances. Mirroring the game, the house guests include Colonel Mustard, Miss Scarlet, Professor Plum, Mrs. White, Mrs. Peacock and Mr. Green. “Clue” is a fun interactive film with three alternative endings. The cult classic takes you along for the mystery as they investigate one another and the murder. The comedic timing makes this movie less of a murder mystery, and more of a laugh out loud trip. All of the familiar characters are given backgrounds, quirks and faces to feel right at home on the first watch. This movie would be ideal on Halloween night or day to get in the mindset while laughing.